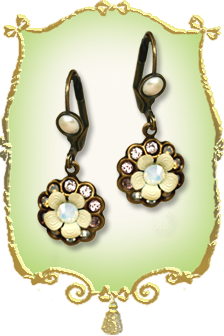 Description: This set of earrings is uniquely distinct in the base structure which is a crafted metal plate fitted with a galaxy of stones in a rosette arrangement. 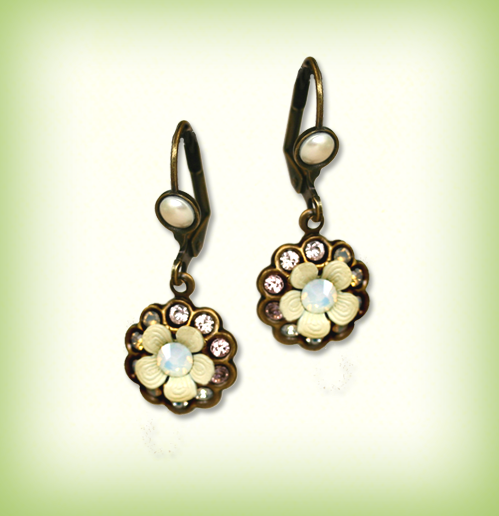 The metal plate is topped with a beautiful flower formed using muted and textured petals and fitted with a center stone. This is a refreshing combination of polished metal with delicate stones. The hoop closure is decorated with a stone to complete the look.